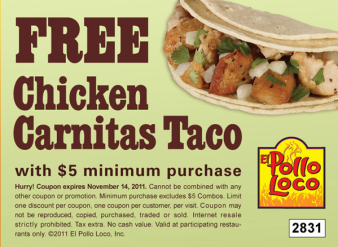 A Day Late and A Dollar Short: **FREE** Chicken Carnitas Taco - El Pollo Loco! **FREE** Chicken Carnitas Taco - El Pollo Loco! CHICKEN CARNITAS AND TAMALES ARE BACK! mouthwatering variation of a regional favorite—with an El Pollo Loco twist! Carnitas Taco combines El Pollo Loco’s tasty new Chicken Carnitas with diced onion, wedge of lemon and fresh cilantro piled in warm corn tortillas. Carnitas Bowl is a tasty twist on El Pollo Loco’s Pollo Bowl® with plenty of Chicken Carnitas served with diced onion, wedge of lemon, fresh cilantro and Pico de Gallo salsa atop Spanish rice and pinto beans. Carnitas Burrito combines Chicken Carnitas with diced onion, fresh cilantro, Spanish rice, pinto beans, melted Jack cheese and a mild salsa prepared with Poblano chilies and wrapped in a warm flour tortilla. Carnitas Meal features a generous portion of Chicken Carnitas accompanied by Spanish rice, pinto beans, wedge of lemon, warm tortillas and freshly prepared salsa. In addition to Chicken Carnitas, Chicken Tamales are back at El Pollo Loco! 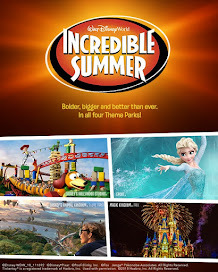 Inspired by the time-honored kitchens of Mexico, El Pollo Loco’s Chicken Tamales are made the traditional way with authentic corn masa, filled with delicately spiced chicken simmered in a rich Colorado chile sauce infused with Mexican herbs and spices, hand-wrapped in cornhusks, and then cooked to perfection. Our tamales are sold individually and in bundles of four served with a choice of our delicious fresh made salsas.